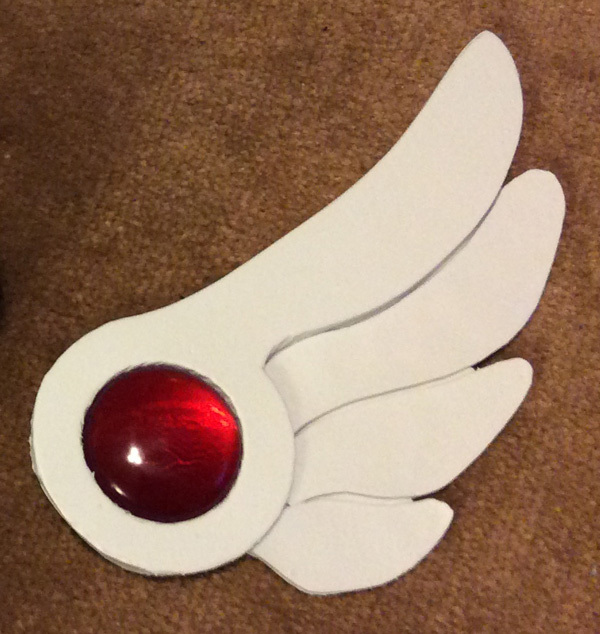 The first thing I attacked in this project were the wings on the sides of the bird head top of the staff. I figured these were the easiest things to accomplish, and it would help me judge how big to make the bird head part of the staff. The gemstone "eyes" are a focal point in the little wings, so I started there. Looking back at my print out, it looked like the gems were approximately 2 inches wide. I tried to make my own molds (outside of using a silicone cast - I honestly didn't have a lot of extra cash to spend so I tried to avoid it when I could), but I ended up with a lot of failures. So I took to the Googles, and found out that there are people who sell all sorts of types of resin mold shapes and I found myself a mold set with six 2-inch wide molds! 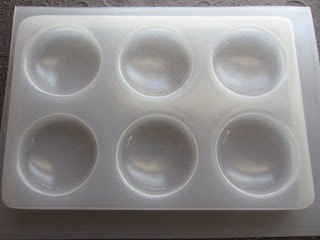 These molds are sold on Etsy, Ebay, Amazon, and I'm sure many other places. 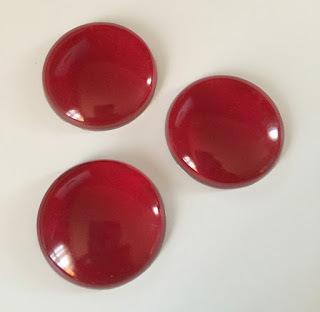 Look for 2 inch Circle Cabochons (means the domed shape for gemstones), or similar. The key word is chabochon! I then mixed up my EasyCast resin per the instructions (YES READ THE INSTRUCTIONS - you have to double-mix the resin using two different mixing pots and sticks for best results). 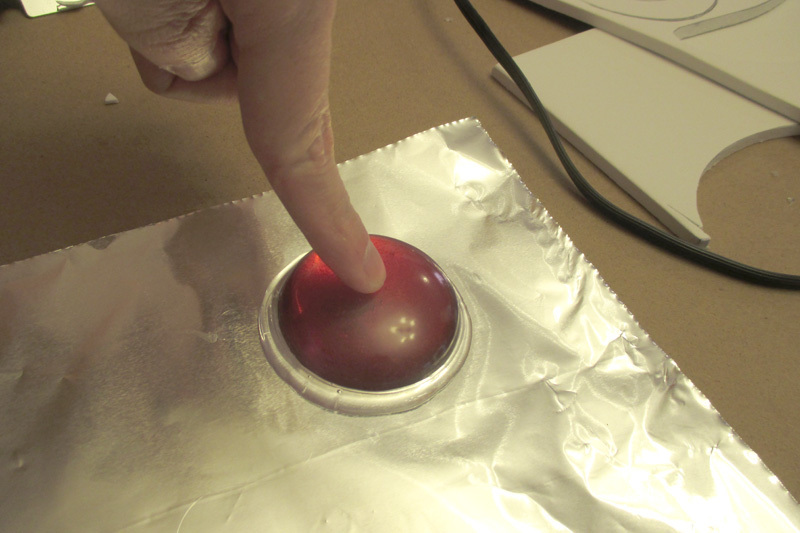 Now, EasyCast resin is naturally clear, so I used the Castin' Craft transparent dyes to get the red look I wanted. If you are looking for a nice, warm red color to your gem, I advise adding a few droplets of yellow to your red mixture. 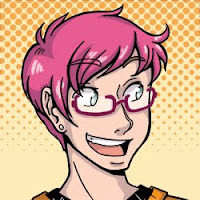 The red transparent dye has a more purple/cool tint to it, and adding the yellow makes it more of a primary red. Carefully pour into the molds, and then let this set for 24 hours on a nice flat surface. That's how long the resin will take to cure (harden) - which is why you need to give yourself a lot of time! After 24 hours pass, you should be able to easily pop out your gemstones, but we're not done yet! You need to make sure they have a nice flat back, and preferably with a metallic reflection inside. But how to do that? Simple! 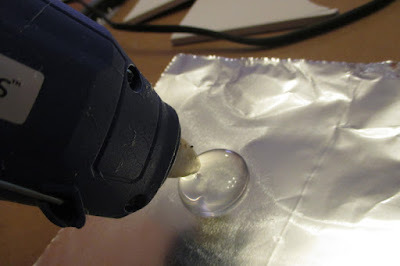 Hot glue and tin foil! Go grab some tin foil, and make sure you have a nice, unwrinkly surface to work on. Then using your hot glue gun, carefully make a nice clear glob that's big enough to fit under your gemstone. I like the hi-temp glue gun because it will keep the glue nice and warm while you make your glob. To prevent bubbles in your glob, keep the tip of the hot glue gun inside the hot glue glob while slowly pressing the trigger to put more glue on. 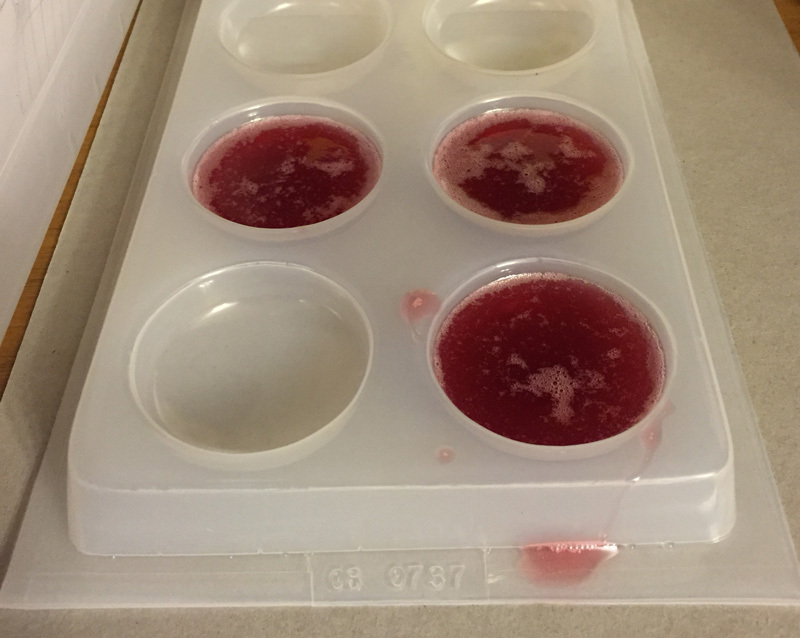 Once you've got enough, carefully press your gemstone down onto the blob. SLOWLY. You will probably get glue that oozes out around the sides, THIS IS OKAY. Let it stay there. In fact, you'll need to hold down the gemstone to your flat surface as long as you can so the glue can solidify and dry. Once your hot glue has cooled down completely (You may need to set it to the side for a bit), carefully cut around the outside edge of the gemstone, trimming off the extra hot glue and tinfoil - use general craft scissors, but make sure they're sharp! 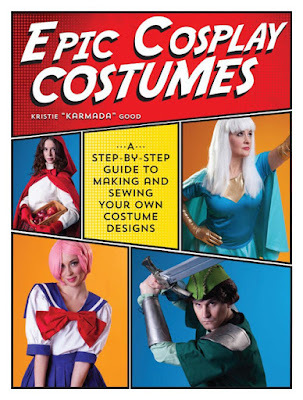 Do this for all your gemstones. After that, you're ready for wings! The next step is to actually create the wings the gemstones will sit in. 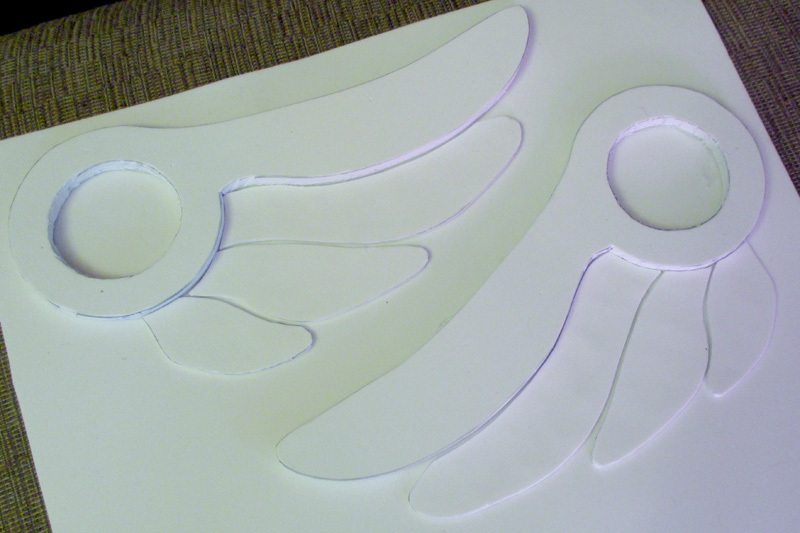 The wings themselves are constructed from various grades of Foamies sheets - a 6mm thickness, and a 2mm thickness. 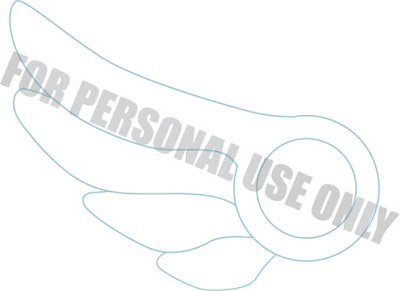 Because I like templates, I went to my sample image (the one I made all big), and using illustrator I came up with a diagram outline to print out. I had to measure it a few times and reprint, but I found a size that worked for what I wanted to do, and printed that out onto a cardstock. 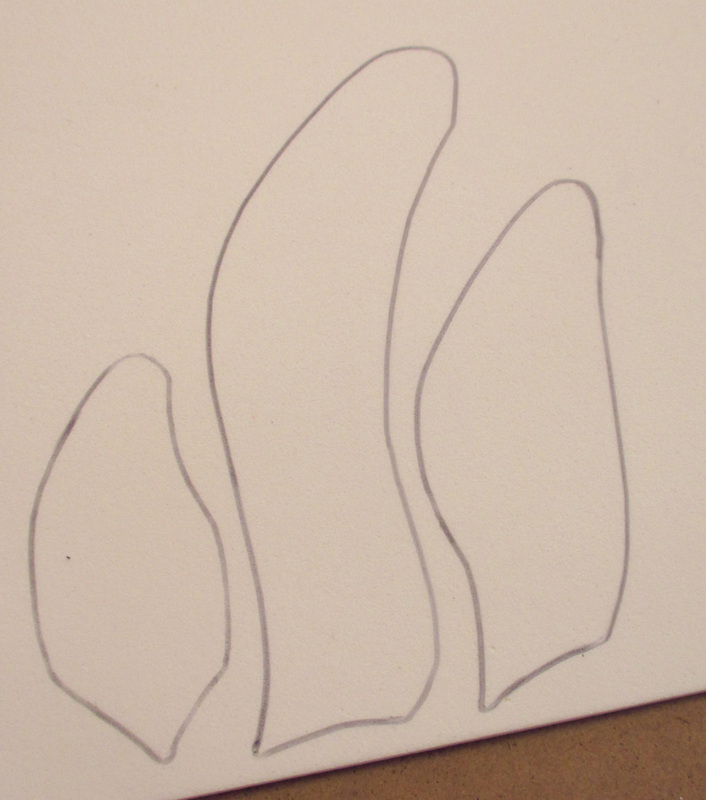 I am bequeathing you with this outline because I like you. Now, remember, my wings are based on the manga-drawn styles of the wand, so if you're aiming to do more of the anime-styled wings, your shape will be a little different! I then cut each piece of the template apart and I was ready to go. The top feather (with the circle attached) I cut out of the 6mm foamie, and the other three feathers, I cut out of the 2mm foamie using a hot knife. I like to use a hot knife because it travels right through the foam and gives you much smoother lines than trying to use a pair of scissors - specifically on the thicker foam. Do this part twice, and REVERSE THE TEMPLATE. Your wings will be opposite each other on each side of the staff head. 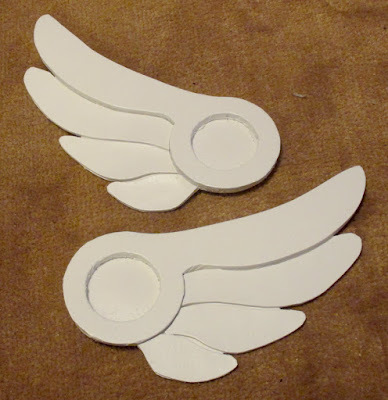 Once your wing parts are cut out (make sure to cut the circle out too), carefully arrange and hot glue an entire wing onto another 2mm foamie sheet as flat as you can get it. Make sure to leave a little bit of space between each feather for a nice texture. Do this for both wings. Make sure to take care of any extra glue that comes out too. 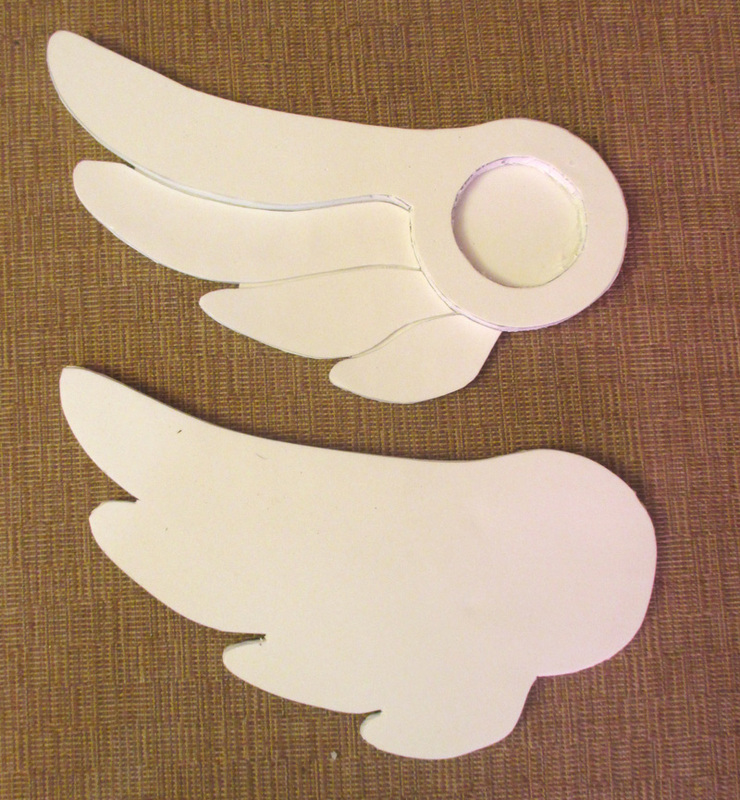 Once your wing parts are firmly glued down, it's time to break out that hot knife again. Carefully cut the bottom layer of the foamie around your wing feathers as close to the edges as you can. Do not cut all the way into the little separations between the feathers. DO NOT CUT THE CIRCLE OUT. That's your resting place for your gem and you want it to be able to stick to it. For an added bonus, if you happen to have some other hot knife tools (usually used in woodburning) you can melt little details into the backside of the wing. There's a small pencil-shaped tip you can use, and just gently use the hot knife to trace the outline of the feathers onto the backside of the foamie. Double check your outside edges and fill in any openings with hot glue if you can. After that, you're ready for Plasti-Dip-ing! Plasti-Dip comes in both spray cans and dipping/brushing formulas. I chose the white spray version, and following the directions I covered both sides of each wing in Plasti-Dip. It takes about 30 minutes between each application, and you'll probably end up doing 3-4 coats on each side. 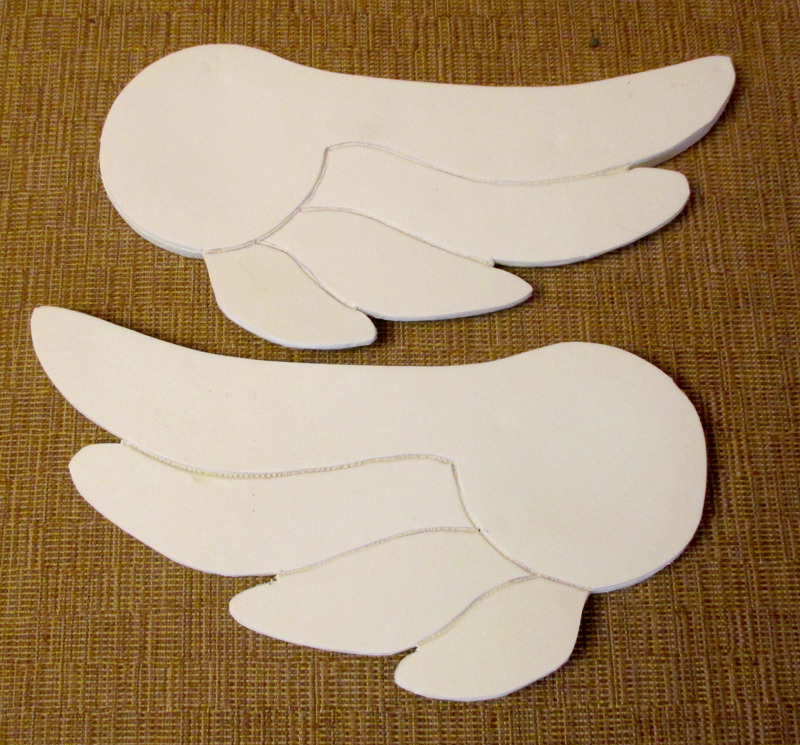 Now you have a rubbery, easy to wipe clean, impact-resistant pair of wings! All you need to do is add the gemstone into the open circle area. If I am recalling correctly, I used hot glue to attach the gemstone. E6000 would also work. Now onto a slightly more complicated part: the staff head!